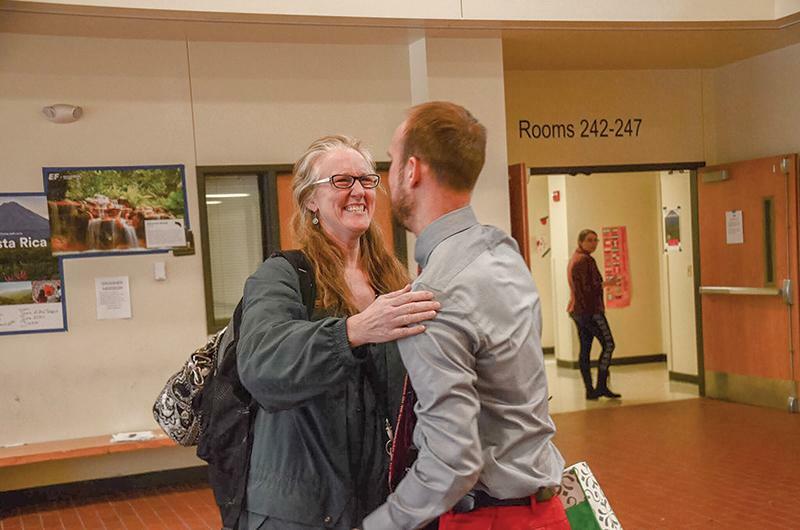 During a staff meeting March 11, Principal Dr. Jennifer Rukstad showed a video to the faculty announcing Jacob Sirna, current principal of Marshall High School in Marshall, Mo., as RBHS’ new principal for the 2019-20 school year. After six years as the principal of RBHS, Dr. Rukstad will assume the role of assistant superintendent for secondary education starting next school year. Sirna has previously worked in the Columbia Public Schools (CPS) district at Oakland Junior High and Battle High School (BHS). 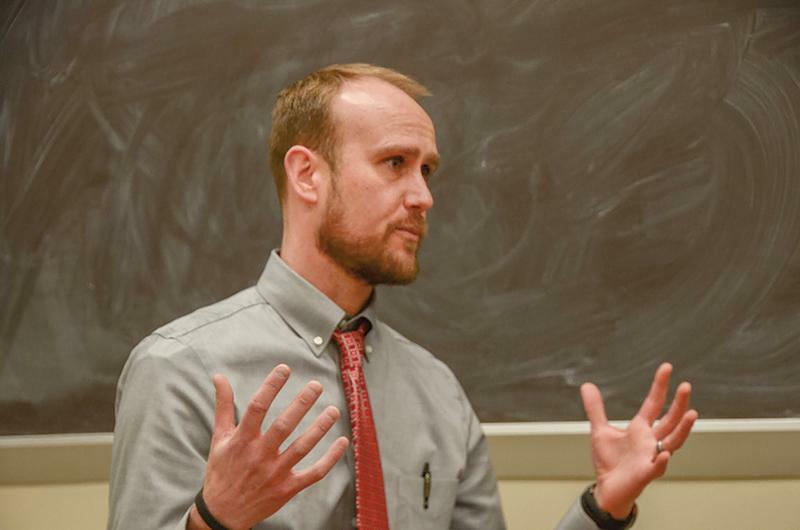 Acknowledging his prior administrative experience, Dr. Rukstad said the main challenge Sirna will face is understanding the life and culture of the school more so than acclimating to the new position. She said she will help educate him on when events such as Global Village happen and figuring out the master calendar. 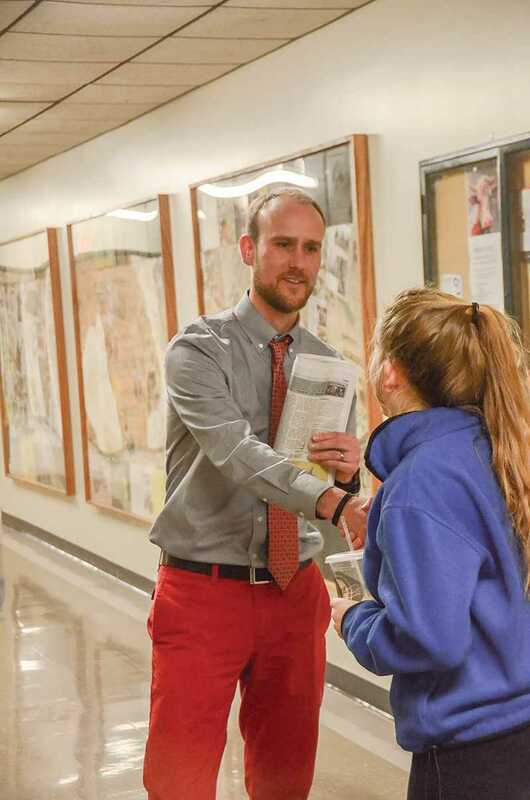 Sirna said he values the school’s “incredibly collaborative” dynamic where the opinions of faculty and administrators combine to improve education. Dr. Rukstad said freedom with responsibility, a core cultural component of the school, stems from communication and respect throughout RBHS. As the “last stop before adulthood,” she said RBHS prepares students for life through a successive progression of increasing freedoms, such as advisory to supervised Alternating Unassigned Time (AUT). Dr. Rukstad said such structures allow students the opportunity to make their own decisions. Sirna said he plans to continue to uphold a tone of decency and respect toward students. For him, the concept of freedom with responsibility allows students to do their best without allowing age to influence how administrators handle situations. Sirna said he has no plans to change anything regarding AUT or the school’s open lunch policy; however, as important as preserving the sanctity of the school’s “very open” and “very free” culture is to him, students’ safety remains Sirna’s priority. Sirna said transparency, honesty and effective communication are important when any major changes occur at a school, especially ones that could affect the school’s culture, such as the district’s hardening of RBHS. Next year, students will enter the building through the North entrance while faculty and staff will enter using the South entrance. He said people deserve to know why the school will undergo this change, and he imagines the press and social media will be part of communicating information. In the next five months, starting as soon as he can, Sirna plans to speak with students and every faculty member that is willing to meet with him. Sirna said he will ask every faculty members the same questions in an effort to educate himself on a teacher’s perspective of the school. He also plans to meet with the Executive Council, a group of elected faculty members who advise the principal on general school improvement, along with the Central Office, Dr. Rukstad and the “entire administrative team.” To connect with students, Sirna hopes to attend RBHS functions and introduce himself to people.